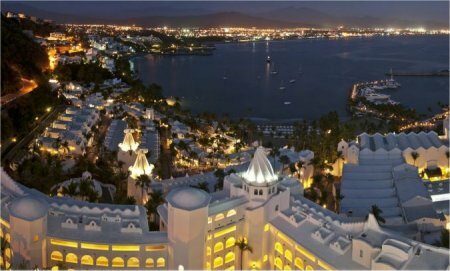 Las Hadas Golf Resort & Marina holds a magical spot along the Mexican Riviera. Resting on a quarter mile stretch of private beach, this luxury resort in Manzanillo is a jewel of Arabian architecture, where luxurious accommodations and personalized service come together in flawless form. Three restaurants and three bars serve traditional Mexican and award-winning international cuisine, not to mention cocktails as colorful as the Mexican Riviera. 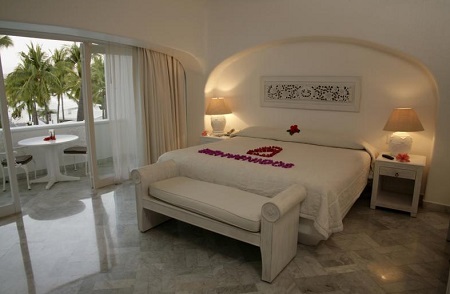 Offer is based on single or double occupancy in a Deluxe Room with 1 King Bed or 2 Double Beds. Stay for a minimum of 1 Night and up to 2 Nights as desired and based on availability.